Here at Enventure we are rightly proud of our FPGA expertise, but today we thought we’d have a brief look at the history of FPGA and maybe explain why we prefer to prototype this way before going to full ASIC systems. PROMs and PLDs the US Naval Surface Warfare dept. funded a project to develop a computer with reprogrammable gates, in this case, 600,000 of them. The patent for this technology was given in 1992 – after this point the FPGA took off and started to appear initially in telecoms and networking equipment but later in automotive and consumer applications. In 1997, a researcher at the University of Sussex created algorithms that would adapt the FPGA, creating evolvable hardware. 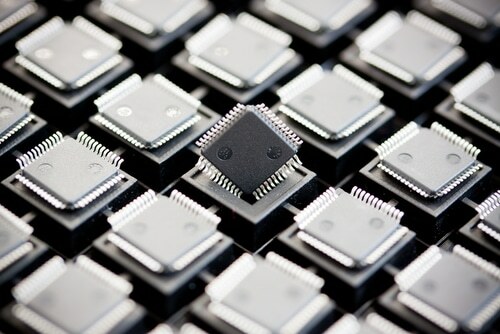 By the turn of the century, chips were starting to have millions of reprogrammable gates on them and the market share had gone from a small number of millions to billions of dollars. There are of course some downsides over ASICs, although these are changing. Historically FPGAs have been slower, less energy efficient and not had as much functionality. However, on the upside, they are easily reprogrammable to correct bugs and with the new security procedures being developed to securely load them, and the ability to correct security issues on the FPGA as an upgrade to a system, in the future we may well see FPGAs replacing ASICs more and more on a permanent basis.